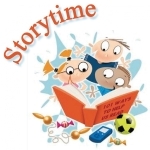 Simply Sweet Storytime offers an opportunity for children to hear stories and create a simple craft. Online Registration is Required for Craft. Capacity: 12 of 12 spaces available.